I have over 25+ years experience as a leader, mentor, and authentic person in the business world. I stand for servant leadership, healthy workplace culture, happy employees, positive thoughts, and smiling every day. (Throw in animals, diversity, sports, cars, hiking, camping, books, cycling, life long education too). What's my story? Briefly, there are so many wounded people in the workplace who take their anger and dysfunction out on coworkers, employees, and customers. I've seen it, I've heard it and I've felt it, and I finally said no more! My voice needs to speak out. If I can influence one unhappy person, one toxic workplace, or one bully leader with my words, I'll consider it a win! Courage and peace. I’d like to keep this short today as my beautiful daughters will be taking me out to lunch soon. This is a day we celebrate our mothers. (Duh) I want to also celebrate all of the fierce awesome women who’ve come before me, and will come after me that have inspired me in my life. Thank you! Thank you for fighting for women’s rights, for leading in the workplace, for taking chances, for running for office, for inventing, for writing, for having children and working, for breaking into traditional men’s work, for overcoming so many obstacles in life. Just…thank you. I’m sure a lot of us think we are hard workers on the job. We also tend to feel guilty about taking our breaks at work, to the point that we might eat at our desks and never leave the workplace. So, is that a good idea? You might think you’re showing your Superman or Supergirl powers at work, but truly, you are doing yourself, your boss, and your customers a disservice. Here’s why not taking breaks through out the day at work is a bad idea. When you work out at the gym, or play sports, or move your whole household in one day, or work in the yard, don’t you allow yourself a break once in a while? Why? To recharge, of course. Recharge your body, right? Your brain needs recharging too. RECHARGE: verb; to make a new charge, especially to attack again. To revive or restore energy, stamina, enthusiasm. To refresh and revitalize. I need my energy restored throughout the day, both physically and mentally. I’ve worked in both types of cultures, where every one takes their breaks, or no one takes breaks. As a supervisor myself, I make sure my immediate reports take their breaks. I’ve seen it too many times when a person plays tough and refuses to take breaks or lunch, then comes back and sues the company. Worse, the work culture frowns upon breaks, so a person feels like they shouldn’t take breaks. Yes, legality is part of it. The real part though, is that I want my employees to come back refreshed and revitalized. (hopefully) Happy employees usually mean happy customers. I do not agree with workplace cultures where the unspoken rule is not to take breaks. It encourages judgement and gossip against coworkers. In the reverse, taking breaks together when possible can build teamwork and comradeship. Eating at your desk encourages your boss or direct reports to interrupt. Of course, there are sometimes certain circumstances where you might have to push back your breaks or lunch to take care of a crisis. Not sure what to do during a break? Here’s what I do sometimes. Read a book. Get to know a coworker better. Play a game on my phone. Read the news. Come up with blog ideas. Stretch. Take a short walk outside. Eat a snack to feed my body. Meditate. Practice mindfulness. Check on my kids. Check on my mom. You get the point. The important thing is to take a real timeout from work. I can attest that when I come back from lunch, I’m ready, recharged and revitalized to face the second half of my work day! What does a smile mean to you? Have you smiled today? This blog was inspired by a post I saw on the social network beBee. The writer was remarking how some people who don’t smile and frown actually have facial expressions stuck that way. It reminded me of a coworker of long ago. She was cranky, grouchy, negative and rarely smiled. Her face was stuck in a permanent frown, even with her resting face. The lines around her mouth were turned down like a perpetual sullen child, forever cracked into her aging skin. I often wondered as I looked at her or listened to her, was it worth it? Worth it to be so negative, glum, sister to Eeyore? Your face is stuck that way! The funny thing is, she reported to me. I say funny because I don’t have a lot of tolerance for negativity at work. (What’s the point? If you aren’t happy on the job, leave. Don’t infect the rest of us.) The other funny part is while I don’t tolerate constant negativity out in the open, I will listen to negative concerns privately. (As a supervisor, I will listen. As an equal, I don’t like to be involved with gossip and negativity on the job) I also appreciate that negative people can take the Devil’s advocate side, and I like to hear all sides of a solution or procedure before we implement it. I documented every coaching conversation with her. It took awhile, but eventually the conversations and write ups became a thick file. Still, I was always patient and respectful to her. Eventually she figured out that I wasn’t giving in, and she decided to retire. What’s the big deal about smiling? I know I feel better when I smile and really mean it. I hope I cheered up my customer if they need it. I know customers can tell when I smile while talking on the phone, so I do it all the time. I smile at strangers, a hard thing for me to do. (I don’t want to be seen as a crazy creeper!) But I love the human connection when they smile back. I get compliments all the time about my smile. Who doesn’t love a compliment? It’s healthy for your brain and emotions. It’s an act of kindness. 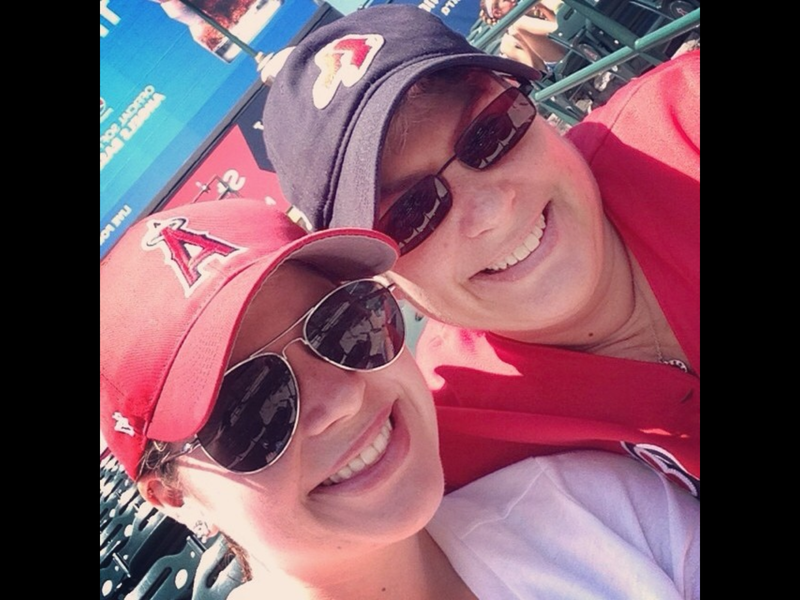 PS-the picture is me and my youngest daughter, smiling because we are so happy to be at a baseball game! There are so many great leadership examples out there, it’s hard to pick even a few! I narrowed it down to three newer voices in leadership, and three old school voices. Robin Sharma is kind of the new guy on the block for me. Robin is a Canadian author and leadership speaker, formerly a litigation lawyer. One of the things that attracts me to his quotes is a zen type of feel to some of the quotes. Dan Rockwell, LeadershipFreak, is one of my all time favorites. He’s to the point, his blogs posts are short and informative, and he’s on top of current issues in the workplace. Dan has had over 35 years of experience as a public speaker, leader, and teacher. I’ve been following him for about 6 years now. Sheryl Sandberg is obviously one of the top voices at Facebook, and in my opinion, a great female leader to emulate. I’m not sure that she even likes the spotlight, but she recognizes that she is a leader who can help teach other female leaders. These are a few of my favorite work and leadership quotes. Do you have any favorite quotes? I would love to hear them! Artemis: Ancient Goddess, Citizen of New York City? I felt the need to write today, but my brain is misfiring in so many directions, that I decided to do something simple…a book review. So, please indulge me while I talk about one of the books that I’m reading. I hope you’ll give it a try. It’s a little bit outside the realm of leadership, but hey, it’s my blog, so why not? This is from the book titled The Immortals, by Jordana Max Brodsky. Ancient Greek Gods are alive and well in 2016, with some residing in New York City. They’ve taken on common names, as well as jobs, (the horror!) so as not to stick out. Artemis’ name is Selena DiSilva. Her twin brother, Apollo, is now Paul. Her half brother Hermes, is known as Dash, and so on with other Gods. Much like the movie Highlander, or most immortal type books and movies, they must disappear and reinvent their lives after a few decades. Artemis/Selena, the Huntress, has done many versions of police work, detective work, protector of women and crime fighting. Most of the Gods and Goddess’s powers are weakening over the centuries, until they finally go mad and/or die. They are gradually aging and losing their powers, because not too many people these days are praying directly to the ancient Gods. There are a few cute things, such as Hermes starting the clothesline, Hermes, which enables the God to still retain some power. I would describe the book as part historical, part mystery, part suspense, and even some humor. There are many flashbacks of Artemis’ Goddess life, and her past lives living on earth, making for fascinating reading and premises. Fast forward to NYC, and Selena is a hard, lonely woman, patrolling the nights looking for abusers of women. Two incidents jolt her into further action. She finds the mutilated corpse of a woman with signs of an ancient ritual long forgotten committed on the woman, and power has begun to course through Selena’s body again. Someone is praying to her and sacrificing women for a ritual. Her sense of justice and ire has reminded her of who she really is, Artemis, daughter of Zeus and Leto, the Punisher and the Huntress. I liked the writing style, and the obvious research that went into writing this book. The dialogue is witty, biting, and real. It’s a series, so I’m looking forward to reading the rest of the books. Something happened to me this week that made me start thinking about human connections and our careers. Social media is great for connecting, networking, educating, and marketing, but wow, nothing beats the human connection. Let me tell you some back story. I’ve been in the book business since 1996 and of course, have met many people. Coworkers, bosses, customers and vendors, just to name a few. It’s the vendor aspect that I want to talk about. I’ve noticed over the years that a lot of people in my position don’t always respect vendors. They are sales people, to be sure, but that’s their job. I’ve always treated them with respect, not as a nuisance. Truth be told, most are a delightful way to break up the day. Not to mention, learning about new products is always interesting. That respect tends to pay off in all kinds of ways. So, a few days ago I got a phone call from a former co-worker who told me that a vendor we both knew left me some books at my old office. My feelings: surprise, curiosity and warmth. I’ve known the vendor, (we’ll call him Tim) for a long time, probably since 2004. He represents all types of genres in books. Tim is quiet, smart and very knowledgeable about books. We’ve always had a good working relationship. Him selling, me buying for the business. He knew what would sell at our store, and between the two of us, we had a relationship of give and take. One of the best things about Tim was that he remembered the subjects that I personally liked. Once in a while, he brought me free samples and galleys. (book talk for a preview of a book that has not been edited, nor has the right cover, and is not for sale). Tim didn’t know that I had left my last job, yet still, he asked my coworker to contact me. To his honorable credit, my coworker did! I stopped by the old office. Imagine my surprise that Tim had remembered that I love Dr. Who, and left me a book set of Dr. Who books! To say I was excited and touched is an understatement. Now, I’m not saying make a human connection to get free stuff. I’m saying, make those connections to make work more interesting. Make those connections to help each other succeed. Make those connections because maybe you will need a job someday and that vendor can vouch for you. You can bet, in my current job as a book buyer, that I’ll be thinking of Tim now and wondering how I can sell the products that he represents. I saw this short but thought-provoking quote this week on Instagram. It stopped me in my tracks. There’s so many things that I can apply this to. One, thinking about retirement someday. If I last 5 more years working a 9-5 job, I’ll be surprised. It’s not that I don’t like working, I love it! It’s not that I’m not physically capable either. But I’ll be damned if I wait until I’m 65 or 69 to retire. So, I’m making plans early to be able to retire before the usual age. I still plan to work, but on my time and my choice and my passion. That’s where number 2 comes in. I have been a leader/manager/supervisor/boss for many years now. I have a lot of genuine experiences and advice that I want to share. So, I’m starting Robin’s Nest now. I’m not sure yet what it will turn into, but it will be some sort of consulting/career coaching type of business. I’m not looking to get rich, just pay a few bills or pay for traveling. I want to help people-help them succeed, help them be positive, help them wade through the mad world we call work. I’ve always enjoyed mentoring employees. I always encouraged people who worked for me to do what they love, and to always move to higher goals in the workplace. I had two epiphanies recently. One was after a successful interview that I was sitting in on, and realized how much I loved the process, and how much experience I’ve had at it. (I estimate that I’ve interviewed over 2500 people in my career) The second one was another experience on the job that I had. One of the best ever. I was working as a vendor at a show, selling books. My youngest daughter came to help me. First time we’ve ever worked together in a professional capacity and the first time she’s been old enough to finally appreciate what I do. (Among many things at work, I am also a bookseller) I guess I have some customer service talent and the gift of gab, because at one point, my daughter, the young woman I want to inspire most, said to me, “Mom, you are in your element. I’m totally stunned.” That statement, needless to say, meant the world to me. It gave me the motivation to finally do what I want to do. I’m not ready yet. But I’m starting, getting things into place, building a brand, looking at options, researching etc. 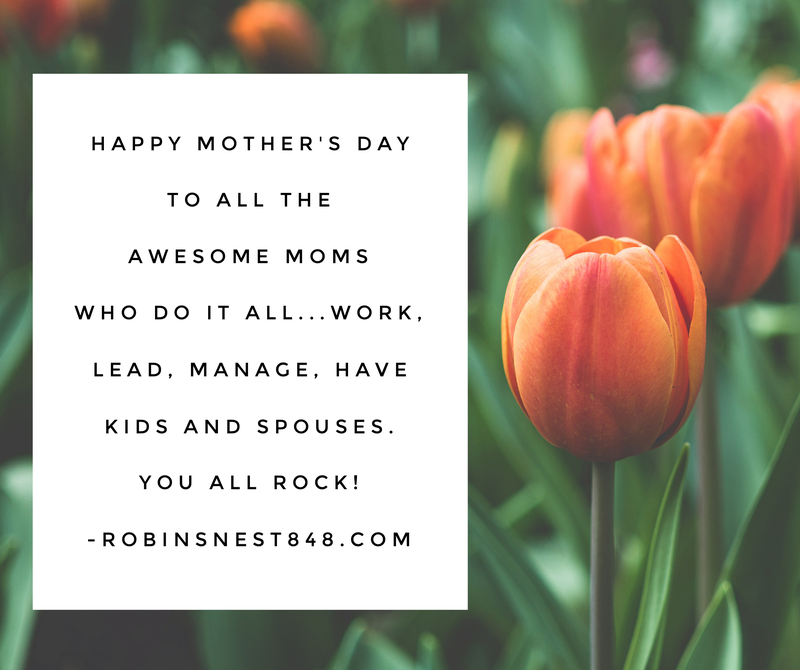 Some day, Robin’s Nest will be my little niche in the world. Today, I was checking LinkedIn, just looking around at different business articles and business leaders that I admire. This is not a bash LinkedIn article. I love LinkedIn. I feel like I get to learn for free from different avenues, teachers, and good leaders in business and life. I came across an article by the Wall Street Journal about certain companies’ taking issue with President Trump’s immigration ban. I didn’t read the full article, but what I did read was mostly business related, such as how do certain companies get their employees home, or how some were saying they did not support the ban because it goes against their mission. (This is not an article about my opinion on the ban.) I was actually curious about the comments. Now, when I go on LinkedIn, I expect professional business comments. It feels like a workplace atmosphere to me. I go there strictly for business reasons. I only want to see business opinions or comments, depending on the topic. If a topic is not quite in line with business, I still expect professionalism. (Call me naive. That is the branding that LinkedIn is known for) So, I was really surprised at some of the comments. On what is supposed to be a business-like platform, some people could not hold back their nasty comments. If I want to see that, I can go on Facebook or Twitter. That’s where I talk about my political leanings and opinions. (I still try to be respectful though) On my business page on FB and Twitter, I do not mention politics at all. Strictly business! What is it about online communication that makes people feel that they can say what they want? I know it’s the anonymity thing, but LinkedIn is not that anonymous! I kept wondering if these guys were looking for clients or a job. Dear reader, words hurt! Words expose you. Words brand you. I hope these guys weren’t looking for a job or clients, because they just branded themselves publicly.